It's the middle of winter here in Aus and it is COLD! My skin freaks out at the best of times but in winter it needs a lot of help. I thought I would share some of the products I love for winter - some also feature in my day to day routine too. I don't post too much about skincare on here because I am such a skincare noob and my skin is not good at all. These products work (relatively) well for me but may not be suited to your skin so please try with caution! 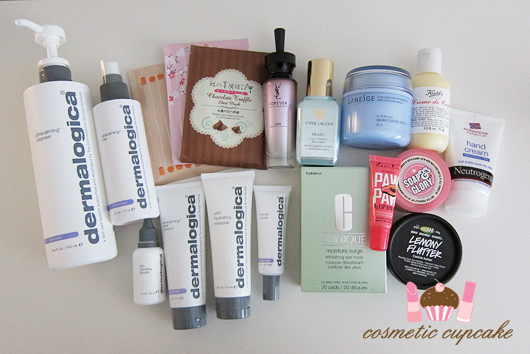 As I'm writing this post I realise that I left some products out but oh well! 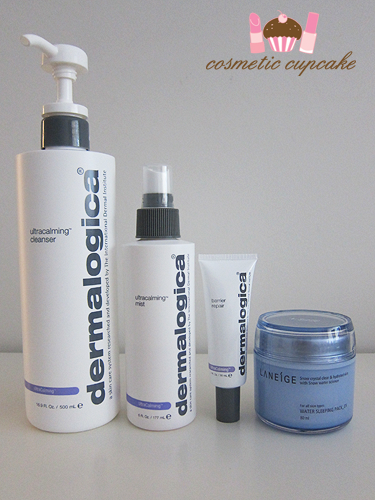 I use pretty much ALL the products from the Dermalogica Ultracalming range for my every day skincare. I switched to Dermalogica last year after hearing lots of great things about it (mainly from my girl Tara!) and I've really enjoyed using the products. The Ultracalming products really help to calm my skin down if it flares up and they are really gentle for my poor sensitised skin. Dermalogica Ultracalming Cleanser ($87 for 500mls) - this is a super gentle gel/cream cleanser that I find really calms my skin down. It contains soothing oat, raspberry, lavender, coneflower and cucumber and is a must in my daily skincare routine. Dermalogica Ultracalming Mist ($60) - a really soothing mist that's very quickly absorbed and it's another product that calms my skin down considerably. It's another must have product in my routine and I really notice the difference if I don't use it. Dermalogica Ultracalming Barrier Repair ($64)- this stuff is THE BOMB. I go through tubes of this like no tomorrow! It's the most awesome/weird texture as it's a waterless moisturiser and it just soaks in wonderfully. It's also a fantastic primer too as it leaves a matte finish to the skin. Laneige Water Sleeping Pack Ex - this is the best selling Laneige gel mask and I love it. You apply it before bed and leave on for the whole night and wash off the next morning. Kind of like a heavy moisturiser! My skin feels soooooooo hydrated and brighter as well which is perfect prep for applying makeup. Dermalogica Skin Hydrating Booster ($100) - this booster gives an instant moisture boost to the skin!! Dry skin is gone literally. I apply it after cleansing and toning and my skin instantly feels hydrated. I was given a bottle at an event last year but have since purchased it and will continue to! It's pretty pricey but it lasts aaaaaages as you only need a few drops for the entire face. Estee Lauder Idealist Skintone Illuminator ($150 for 50ml) - Not exactly a winter must have but I use it daily. I purchased this in my last trip to HK and I've had pretty good results! My skin is definitely brighter and more even but it still has a long way to go. YSL Forever Youth Liberator Serum *($120) - I'm sure I'm not the only one who is scared of aging!! I'm on the other side of 25 and nearing 30 (help!) so I think anti-aging products are more than appropriate ;) I was kindly sent this bottle to try out and using it over the last month or more and I've been enjoying it. Full review to come shortly! Clinique Moisture Surge Refreshing Eye Mask ($220HK) - my under eye area never gets enough love so I hit them with a moisture boost from these awesome eye masks! I'm not sure these are actually sold in Aus though as I can't seem to find them on the site. I stock up on these when I'm in HK use them about once or twice a week. They're a bit pricey to use more often sadly! You place them under the eye for about 10mins and afterwards the eye area is softened, plump and smooth. 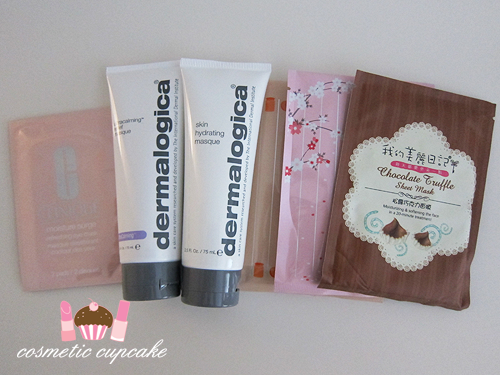 Dermalogica Ultracalming Relief Masque ($68.50) and Skin Hydrating Masque* - 2 very face-saving masks! When my skin gets really sensitised, red and painful they really help calm my angry skin and are really moisturising. My Beauty Diary masks - I love sheet masks! The My Beauty Diary mask are some of my favourites and I particularly like the chocolate truffle, Japanese Cherry Blossom and Southern France Apricot masks. Natures Care Paw Paw lip balm ($3.29) - I use about a million and one different lip balms but this is a new discovery that has become a favourite of mine and I've been using it constantly! I came across it at Priceline and couldn't go past the pink packaging x) It has a slanted applicator and smells fab and gives a nice gloss to the lips. Lovely and moisturising too! Kiehl's Creme de Corps* ($15 for 75mls) - an oldie but a goodie!! I've been using Creme de Corps for ages now and it is so rich and just perfect for winter. It absorbs quickly and doesn't leave that greasy film on the skin. There's no scent either which is a plus. I was kindly sent this cute size just in time as I've just finished a bottle! Soap and Glory The Righteous Butter - lovely Christina sent this to me in a swap a while back and it is sooooooo luxurious!! It smells AH-MAZING too. I'm all for non scented body products but I do love nicely scented lotions and body butters. The consistency is quite thick but absorbs nicely into the skin. I'm trying not to use it all up this winter haha! 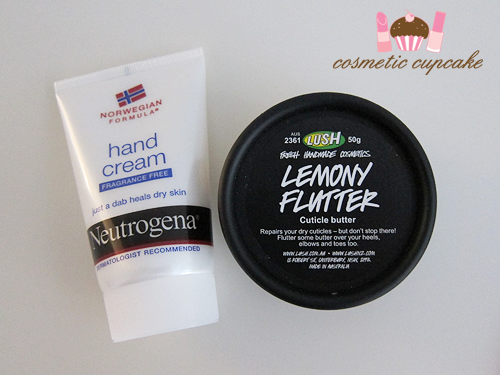 Neutrogena Norwegian Formula hand cream and Lush Lemony Flutter cuticle butter - I've featured these 2 HG hand products before in my cuticle and hand care routine post so I won't go on about them too much apart from the fact that they save my poor hands without fail EVERY WINTER and for most of the year for that matter! 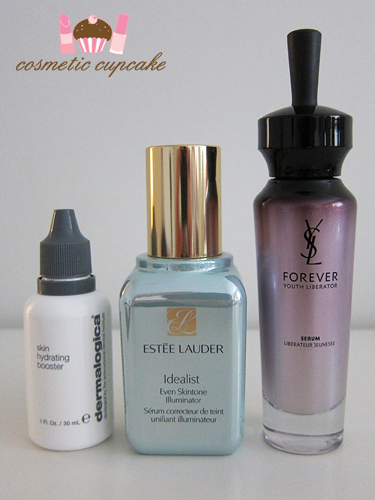 I hoped you liked seeing some of my favourite skin products for winter! What are your skin essentials for the cooler months? Thanks for looking as always! I love my beauty diary too!! Awesome post Chelle, loved seeing the products you use! I've been using a sample of the Estee Lauder Advanced Night Repair & I have to say I AM loving it! Think its gonna be a definite purchase ;) Also, guess who picked up some Lemony Flutter after someone recommended it muchly this weekend?! ;) Its bloomin gorg! Wow sounds like quite an extensive routine! But what I love about skincare is you can actually see the results! I have sensitive skin and can't seem to stop breaking out. Should I use Dermalogica? Nice little stash of dermalogica, I am a big fan of the ultracalming cleanser and skin hydrating booster. Kiehl's Creme De Corps is just as you say super rich and perfect for winter! I can't live without it. Looks like you've got a lot of awesome products! Have you used Lucas Papaw Ointment? 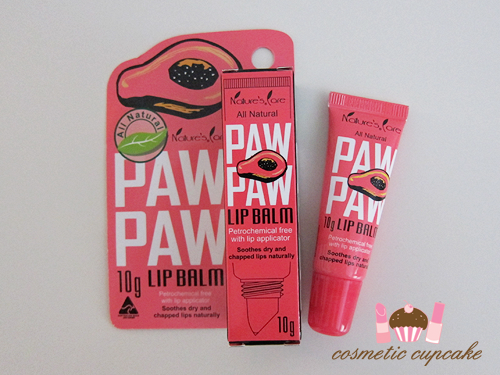 Just wondering if you know how it compares to the Paw Paw Lip Balm you use! I have look in to these for winter :) It's colder here then, though - I had to check that in Aus it's about 8 °C in july. I looked at your stack of skincare stuff and was all like "wow, that's a lot of stuff". Then I thought about what I use and realise it's about the same - NUTS. Anyway, I agree that Dermalogica is amazing. My skin has never been better since I switched to using it almost exclusively. Oh I might have to look into those Dermalogica masks as my skin is a little irritable at the moment. hi Chelle, have you seen http://www.beautypedia.com/brandlist.aspx? I use it to look up different brands, its a lot of fun. Its independant research and rules out a lot of things for me based on irritants to sensitive skin. Kit nail tools that won't break the bank!